The Edupod™ Teachers Desk is designed to fulfill all the needs of the modern educator. 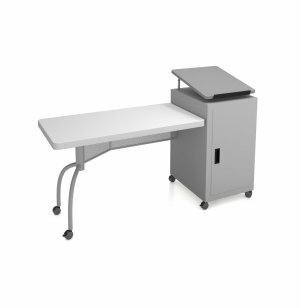 The lightweight blow-molded desktop provides a comfortable work surface for grading tests or meeting with students, while the built-in, adjustable-height lectern accommodates frontal lessons and presentations. A locking cabinet below the lectern includes two adjustable shelves, a grommet in the top for easy routing and a perforated mesh front to prevent devices from overheating. 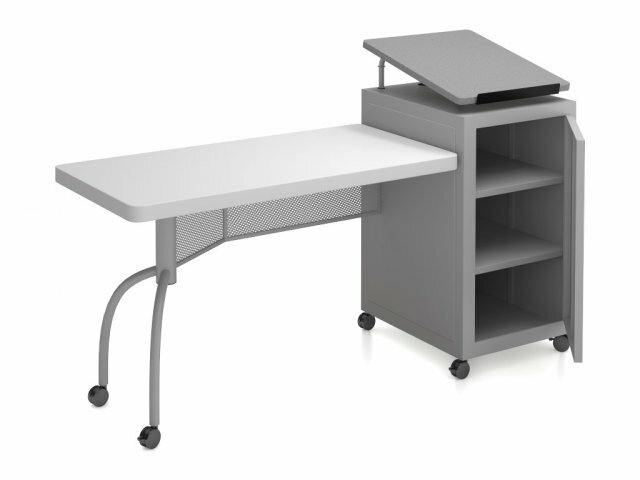 This teachers desk has the flexibility educators need in the contemporary classroom. 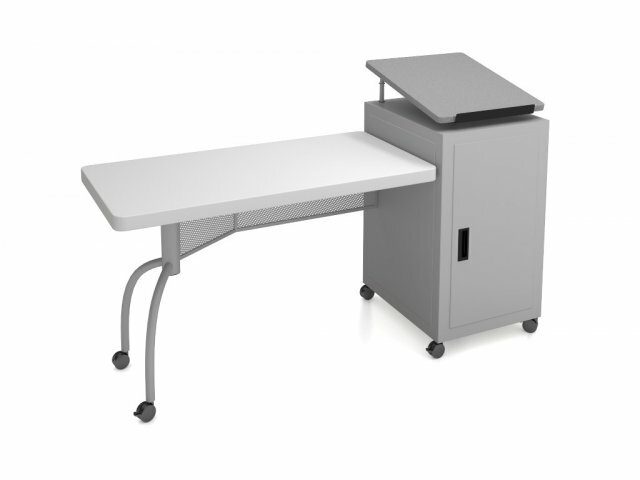 Casters easily glide the desk into your desired location, with two locking in place to ensure stability. 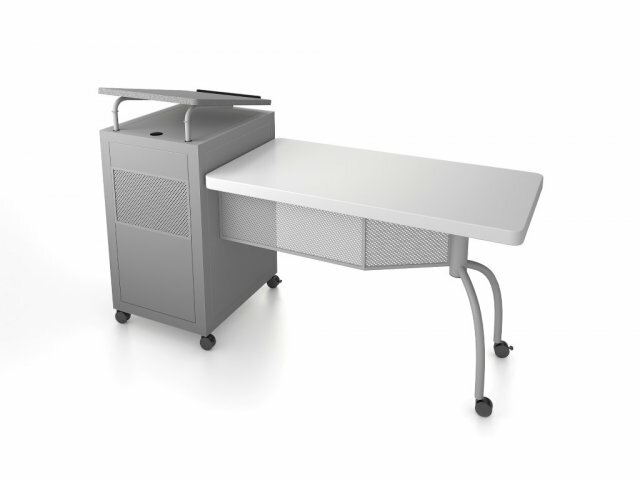 The sleek frame and legs are designed to maximize legroom while complementing the work surface and lectern. With so many great features and an attractive, functional design, the Edupod gives teachers the work space they have always dreamed of - and then some. Tough Surface: Blow-molded desktop is incredibly strong and durable. Personal Space: Perforated modesty panel creates a more private workspace. Flexible Arrangement: Lectern includes a metal bookstop and has an adjustable height to fit your personal comfort zone (37-45"). Secure Storage: Locking steel cabinet includes two adjustable shelves. Ventilated: Mesh cabinet front maintains airflow to devices inside to prevent overheating. Wire Management: Grommet in top of cabinet facilitates easy routing. Smooth Mobility: Rolls on six double-wheel, hooded, two-inch casters (two locking).